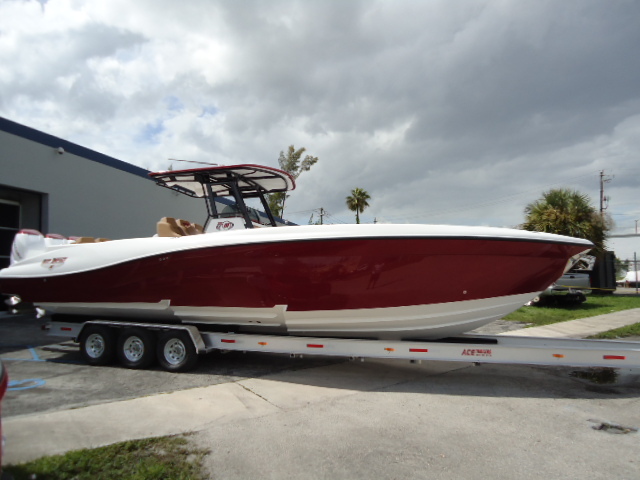 I have loved the boats from the first one, but I must say the more I see at the courtesy dock at the Miami Beach Marina, (especially Da Heat), The more they really start to sell them selves!! Im pretty sure the performance boater looking to make the Utility switch is already going to be sold on deep impact marketing, poker runs, its all been done enough to start to prove its quality and durability. I do think the serious fishing crowd, that lean toward intrepid, contender, seevee, and Midnight Express, love the look and the idea of the boat, but are going to need more convincing before they become cult followers, if thats a new target market, great, if not just ignore my input, because in my opinion, your doing fine as it is, I just hear alot of the fishing guys ask buyer type questions about the boat, they just have not seen it in alot of tournaments, or heavily fish rigged, I would never want to make deep imact look like an all out fishing boat, I prefer the go fast style and looks, but I know the fishing guys are buyers in all economys. 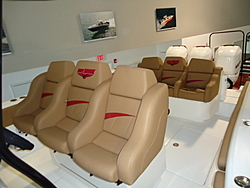 There is alot of downsizing from express non trailerable sportfish models going on right now, and deep impact could steal that market, there is heavy competition when it come to all out fishing center consoles, and it would be wrong to try and become a see vee or intrepid, but I truely believe showing the performance and fish capabilities of this boat by making a tournament rigged demo model and fishing it in some of the biggger tournaments, could bring out alot of new buyers. Best of Luck and Congratulations! Once again, the boat is absolutely beautiful! Last edited by spk1; 09-03-2010 at 02:12 AM. We do have a lot of exciting things going on here at the factory. The display boats for the Ft. Lauderdale Show are in production now. We are in tooling phase on a revised 36 on a "TE" fishing theme. 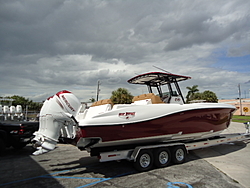 This boat is targeted at those serious fishermen that want to fish, yet desire performance as well. Find More Posts by Tim G.
Hey Tim- any sport models in the works besides center consoles? 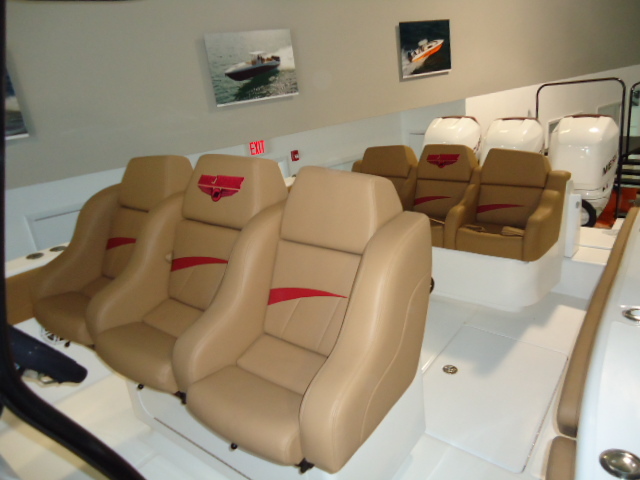 The next models to come are 39 and 42', followed by a smaller twin engine boat. Stupid question maybe but will you do shock mitigation seats? I know your boats are heavy wave crushers but surely there are times that shock seats would be needed, or at least appreciated. TimG, hopefully Deep Impact will build a CC in the 30' range that is sleek. I still want to downsize...way down from my 38TE Fountain. We can certainly install Shock Mitigation seats... I have some experience with Stidd and Ullman seats.. They do work, but tend to be very expensive.... and also more restraining and less user friendly than typical pleasureboaters desire. We're finishing up the new 36 TE now. We'll be laying up #1 next week. The hull mold for the 39 will be at our shop next week as well. The liner is in the CNC now. The deck is finishing up. The 42 will follow. We have the base hull and deck plugs nearly finished now. The 28 will follow.... For sure. FYI- We just moved our boats into the Ft. Lauderdale Convention center today.... We certainly brought some eye catchers. Tim congrats and glad to see Deep Impact is doing good. I'm with mike on needing a smaller model! Is a 28 still in the works?